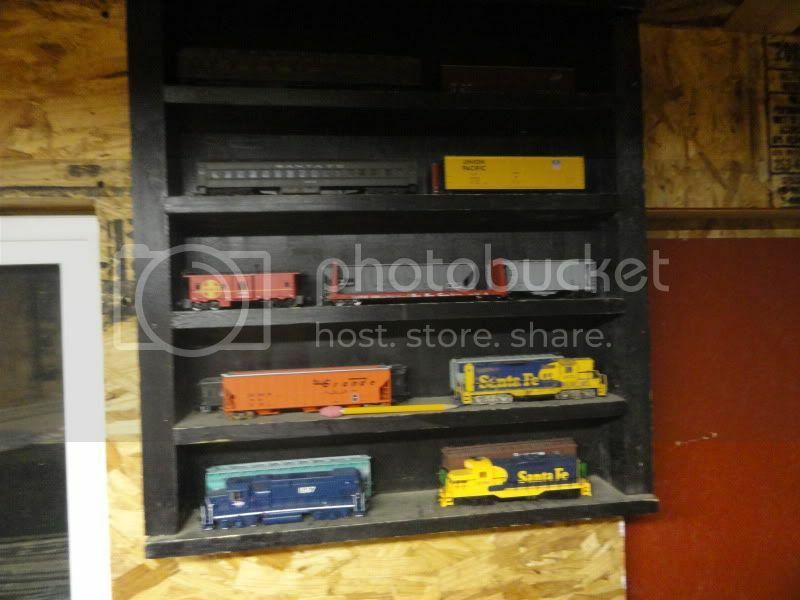 Photos of the Santa Fe Shed Division, 2011-2012. 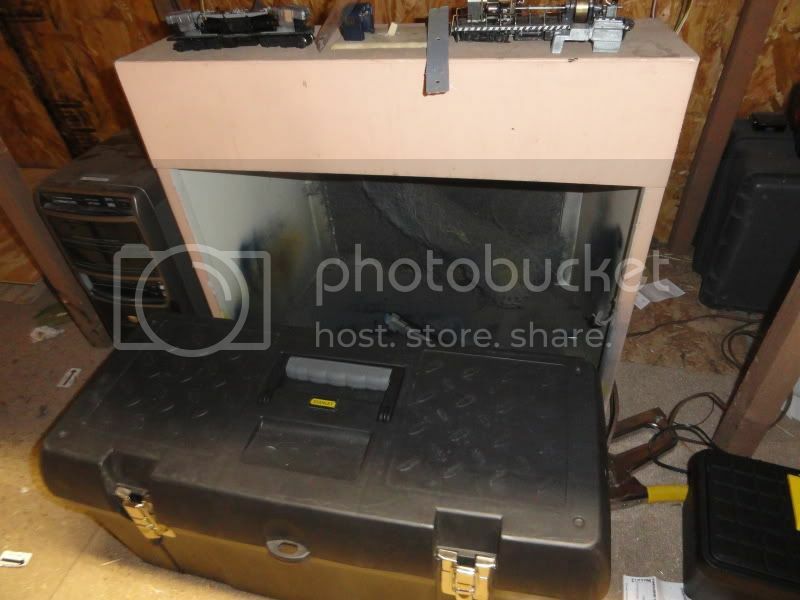 Photos of the layout on this page are generic photos that don't pertain to a certain location. 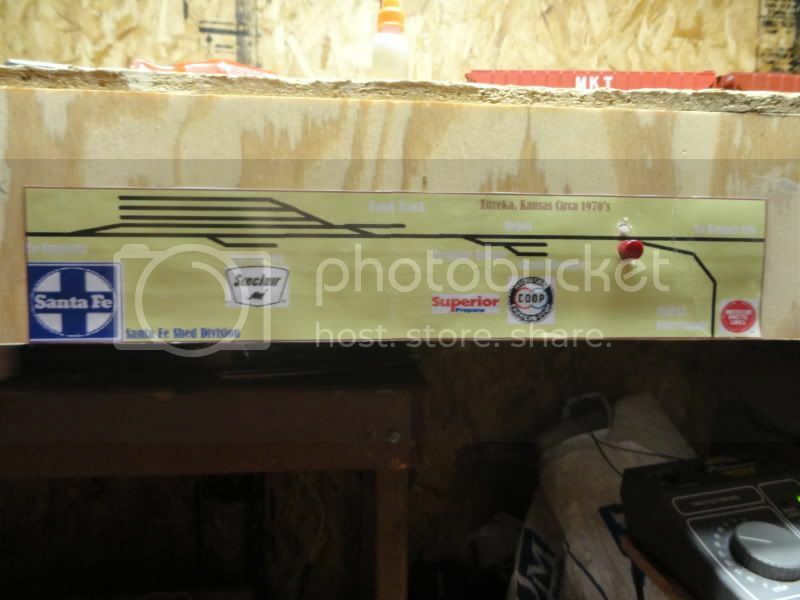 Use the track plan map to navigate to a certain town. Click on photos to enlarge them. 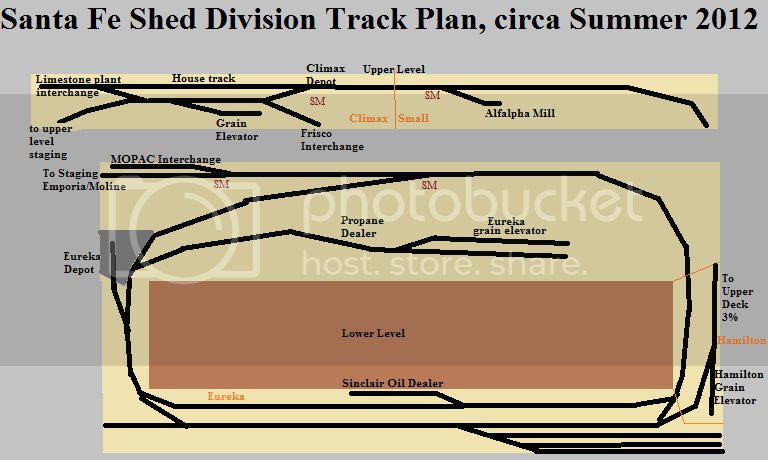 Here's a general Track Plan of the shed division. Not to scale. Use the orange lines to figure out which Album will contain photos of a general area. The home of the Shed Division. 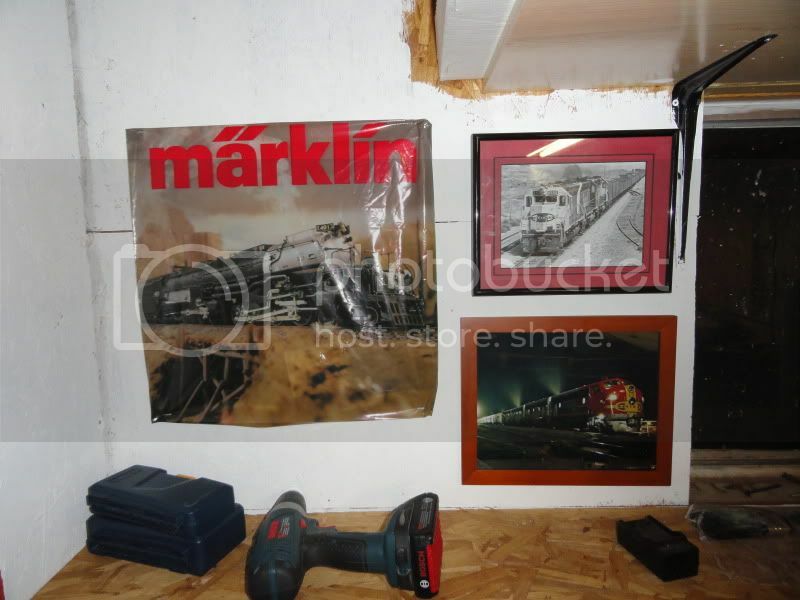 Some walls have been painted and some pictures/posters hung. Looking down the north wall. 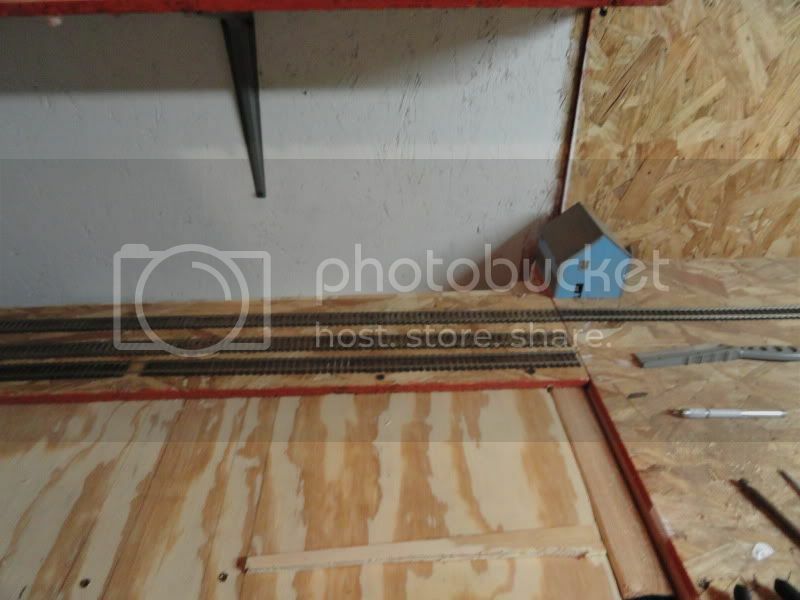 I installed the transfer table staging yard. So far works without a hitch. Seen here with track 1 lined. Overview of the West side. This display shelf has some memorys for me. My Father built this for me many, many, many years ago. Back when I was a wooden train kid. Still using it to this day! 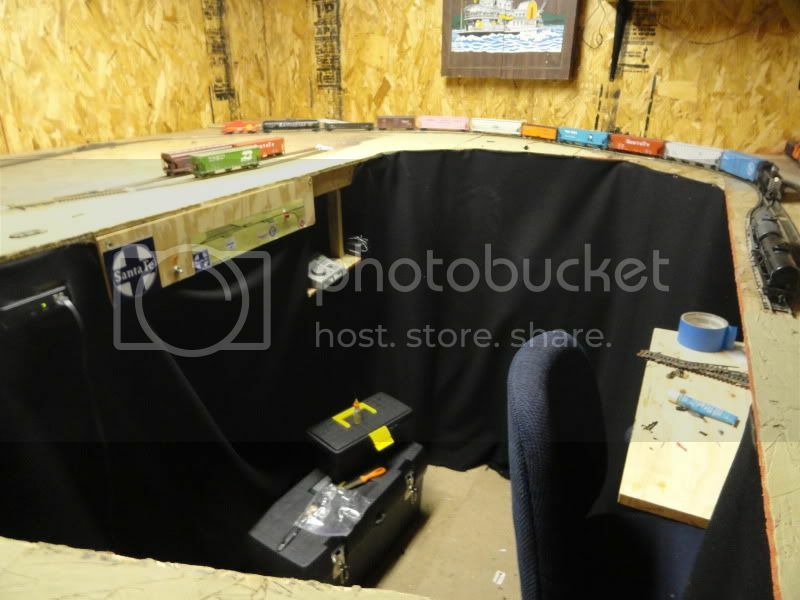 The paint booth has been moved from the barn to under the layout. Works extremely well in this location. An atlas RSD5 is in the booth. 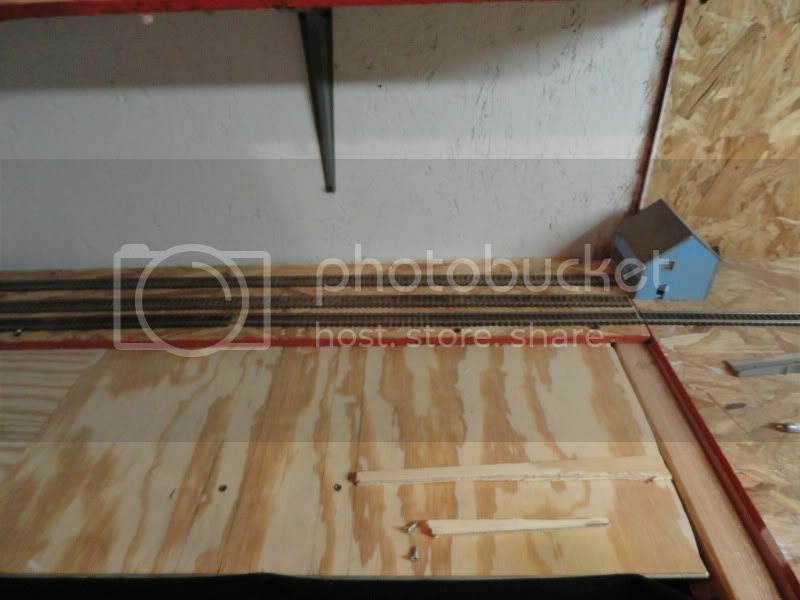 The lower level control panel on the side of the layout, has a mere two buttons to control one switch machine. And lets not forget the DCC/DC selector! 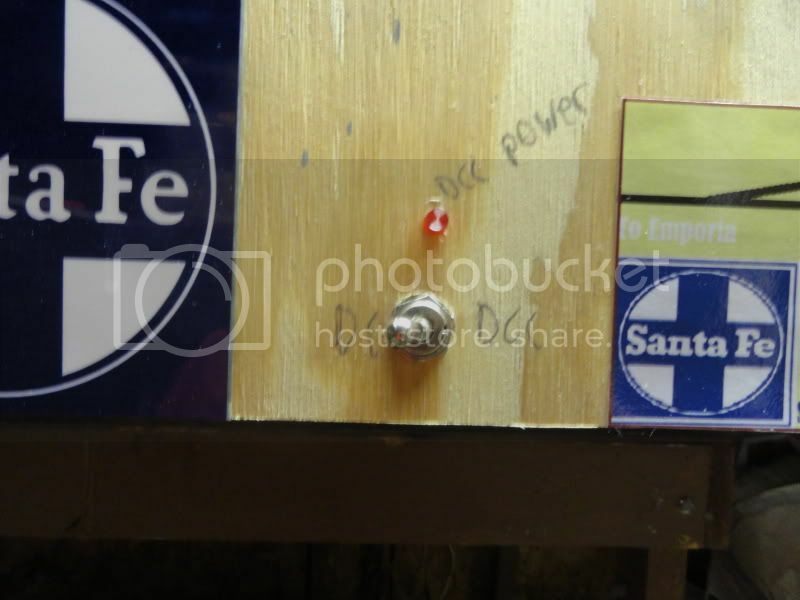 This switch controls only the lower levels power control. Pretty much just Eureka and Staging. 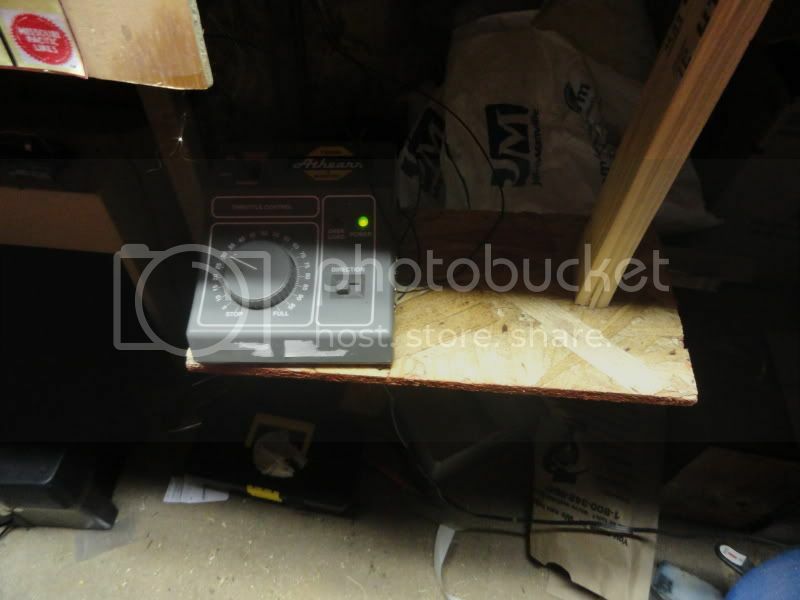 The DC control panel, really sturdy despite only having one support beam. 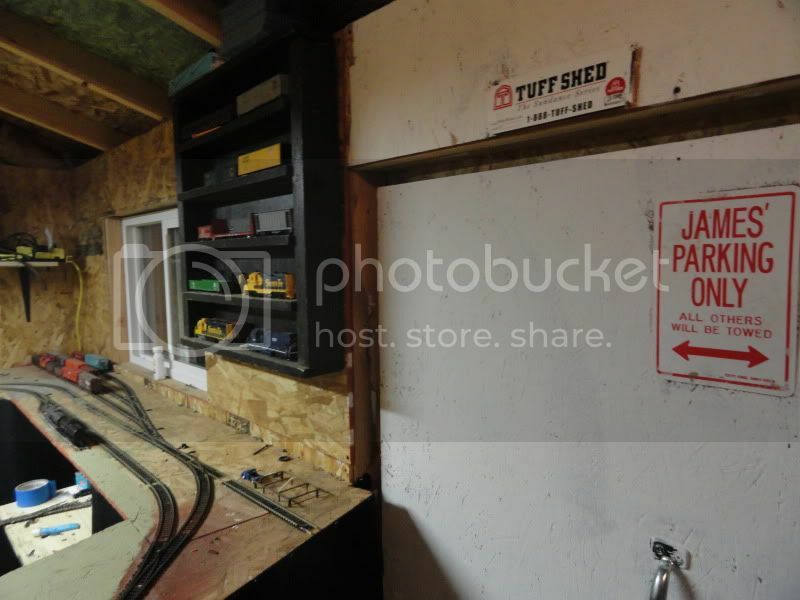 This pack powers the switch machines and the DC operations on the layout. 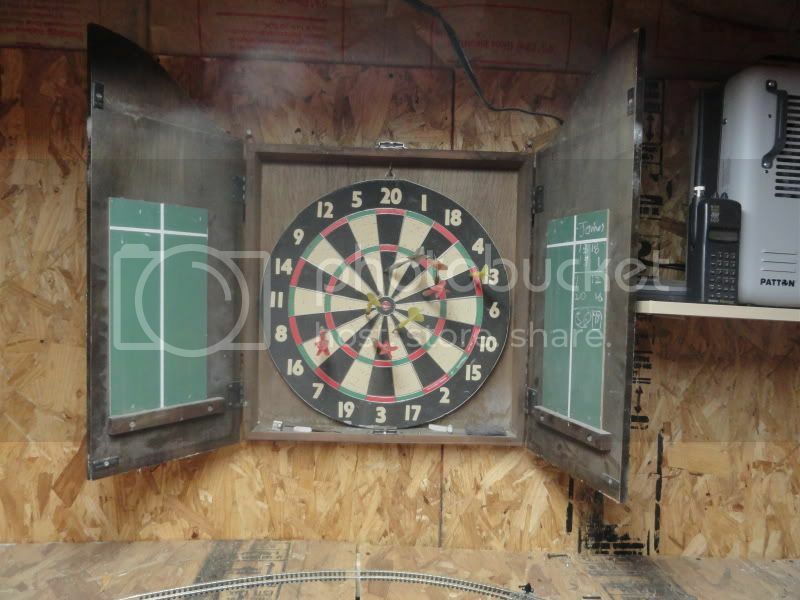 When I get bored with the trains, I can play some darts! My aim needs some work....... I've put some new spike holes in the track!